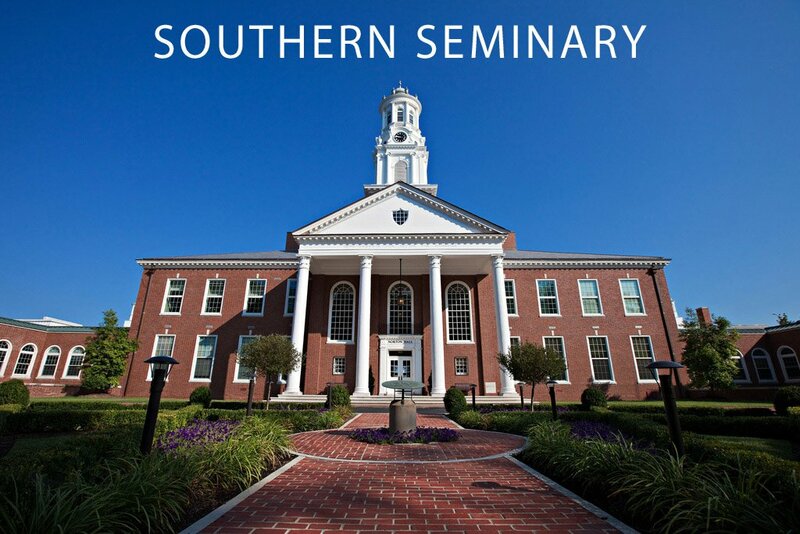 As I finished the last blog in this series, I alluded to the fact that Southern Seminary was “in” for me. What I had experienced was not the Seminary rolling out the red carpet only to jerk it from beneath my feet as soon as they had my deposit. The Lord was not yet finished. I have many stories I could tell already from my time at Southern Seminary, but I think that three will suffice. The first thing major point on my road to SBTS happened only weeks after my visit. As providence would have it (as well as irony), it happened on twitter. If you know me well, you probably know about my 15,000 or so tweets. I am an active -understatement of the year- user of the social media platform “Twitter” [NOTE: Follow me at @griffingulledge]. 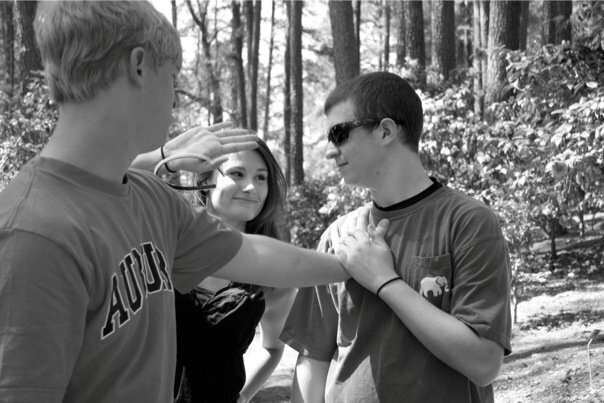 Once I knew I was going to Southern, one of the first things I did was follow [this is like ‘friending’ someone on facebook] a few guys at the seminary I had never met before. One of these was Charles Smith (now VP of Institutional Advancement at MBTS). Charles had just posted about meeting with an Ambassador for the seminary. I sent him some cheeky response about how much I wanted to be one. This is probably the most important tweet I have sent to date. He responded with an offer and a series of emails to me offering me a position. It was more complicated than that, but I think that explanation will do. I showed up to seminary on August 3, 2012 at 7 a.m. for my Ambassador meeting. 24 hours previously, I had been at a meeting in Minneapolis and had flow back to Birmingham, hopped in the car at midnight, and began my voyage through the night. I was wired on Five Hour Energy, but I was present. This has turned out to be one of the greatest blessing I have had. The other Ambassadors are all older, smarter, and more experienced than me; that’s not to mention they’re all friendly, godly, and married! I am the youngest by far, but they have all been so gracious with me. They have become my good friends. I gained instant community, which was one of my great fears (not having it) going off to such a large school. Not only that, but I would be able to meet Board of Trustee members and dine with them, serve the Foundation Board for the seminary (which, if you recall, had already played a part in my life), and I would be able to work with some of the best men at the seminary! What a blessing! This was the first confirmation to me that I was in the right place. The last thing that occurred is probably the greatest confirmation I have had. The other two were huge, but this is the biggest. Last Friday, I took a road trip to Auburn University to recruit students for Southern Seminary.On Friday, I stopped in Birmingham to attend a class with one of my best friends, Blake Jenkins, and go to lunch with him afterwards. Blake attends– you guessed it– Beeson Divinity School. As I pulled in to campus, I felt like the Lord wanted me to go see someone before I met Blake. I got out of the car and walked to the Admissions office. Mrs. Sherri Brown, the Director of Admissions at Beeson, was wonderful to me during my application process. She helped me every step of the way, was my interviewer, and encouraged me the day after I didn’t get it. It was Mrs. Brown who asked me to reapply for the Spring. deny our friendship (not that she would). When I stepped into her office, I could see the surprise on her face. She told me she had just been thinking about me as they were organizing for a new round of admissions. Then she noticed my jacket, a beige pullover with the Southern crest on the breast pocket. I hadn’t spoken with here since that ‘day after’ so she had not known. She was excited for me. I told her how it all worked out and how happy I am at Southern. She once again encouraged me, told me that they were very happy for me, and said,”Well we’d love to have you for a D.Min. one day!” One day, Mrs. Brown. Maybe one day. As I walked out of her office, I had a real peace about everything. I knew. God has placed me at the right place. As I went to meet Blake, I remembered how I had fallen in love with Beeson’s campus. Once we were in class, I saw that I had estimated rightly that it was a great school. As the professor taught, I realized I had heard nearly the exact same thing in my own class at SBTS the week before! It was a great day, but it was not home. Southern Seminary is my home now. I can honestly say, with no reservations that I love Southern Seminary. I wouldn’t want to be anywhere else. God did not only redirect my course, he redirected my heart. Once again, I’m learning not only that I have to trust the Lord, but that I can trust Him! He is good and He has done good to me. I don’t know how my career here at SBTS will turn out, but I know this: The Lord will do good to me. I hope you know, reading this, that he is good. I hope you know that he only does good. He will do good to you as well. You can trust Him. Trust Him. It is certainly a blessing to see it all play out for His glory in your life. He really is sovereign over all things, and He really is good. We don't have to be afraid. He is worthy of our trust, even while we are unworthy of his trustworthiness. His plans to bring lasting joy to us are infinitely greater than our plans to bring temporary joy to ourselves. I am thankful for you, brother.